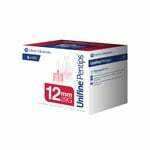 The Owen Mumford Unifine Pentips 6mm x 31G 100/bx AN3590 Case of 10 are triple sharpened and have a unique silicone lubricating coating for maximum comfort. These universal needles easily fit into virtually all insulin and other drug delivery pens, including the Autopen. 6mm x 31 g. Ref # AN 3590. Case of 10 Boxes (100/bx). 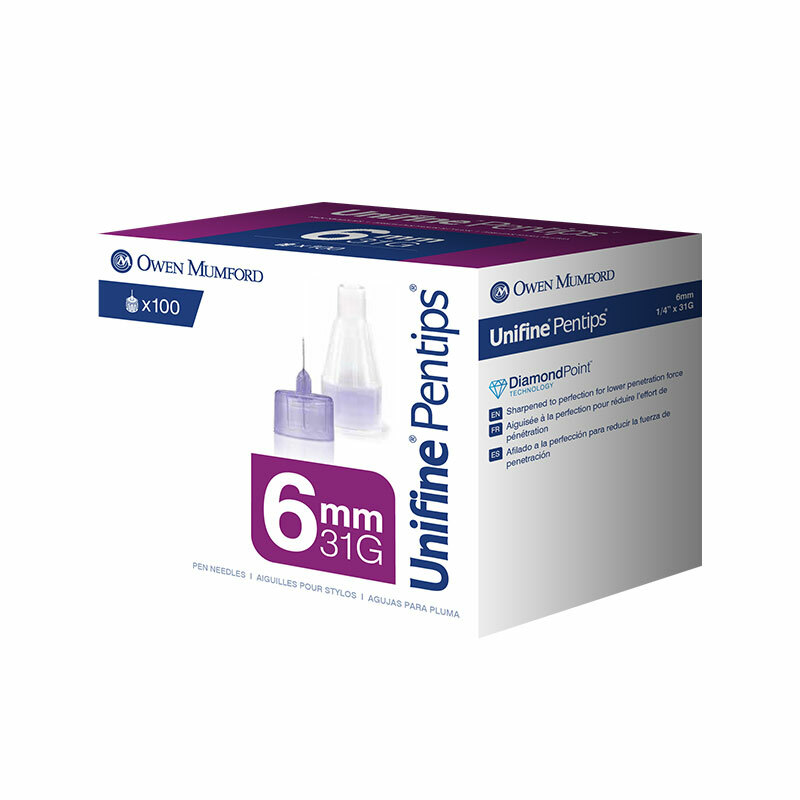 The Owen Mumford Unifine Pentips 6mm x 31G 100/bx AN3590 Case of 10 are triple sharpened and have a unique silicone lubricating coating for maximum comfort.